I had bummed a ride to Los Angeles at the invitation of NetJets, one of Grace’s sponsors. Sportswriting is not unlike anthropology, and it is valuable to study your subjects in their native habitats. 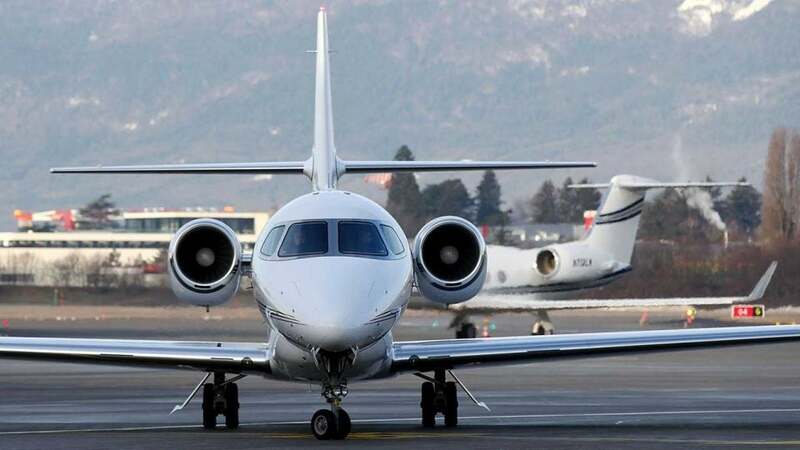 Monterey is a tiny airport and flying in and out of there commercially can be a challenge, but once NetJets put my name on the list it was a laughably easy getaway: no one ever asked me for ID, let alone beseeched me take off my shoes. 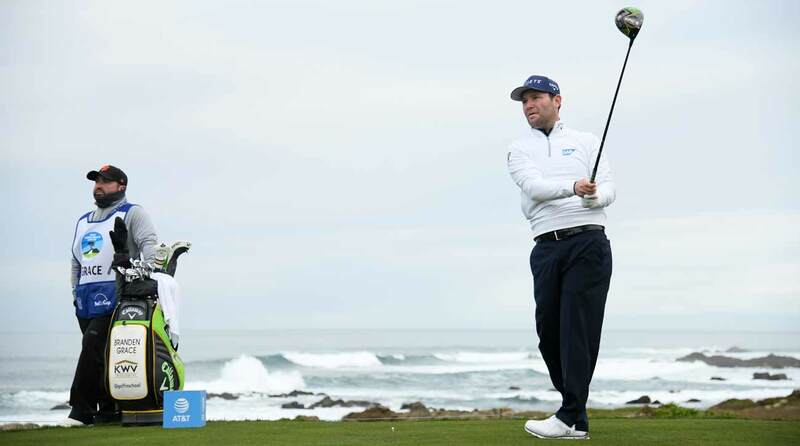 Alan Shipnuck, living the good life with Branden Grace. As something of a P.J. novice – my teen daughter informed me that is the current slang for a private jet – I showed up with only an apple stashed in my bag, but Grace was kind enough to bring me a burger and fries he picked up on the way to the airport. Veteran move. Along for the ride were his delightful wife Nieke, their 9-month old son R.J., a friend from home serving as a nanny and caddie Craig Connolly, whom, once we were seated on the plane, quickly offered beers to everyone except R.J. The flight was like most others, except a baby was crawling through the aisles and everyone was in a good mood. 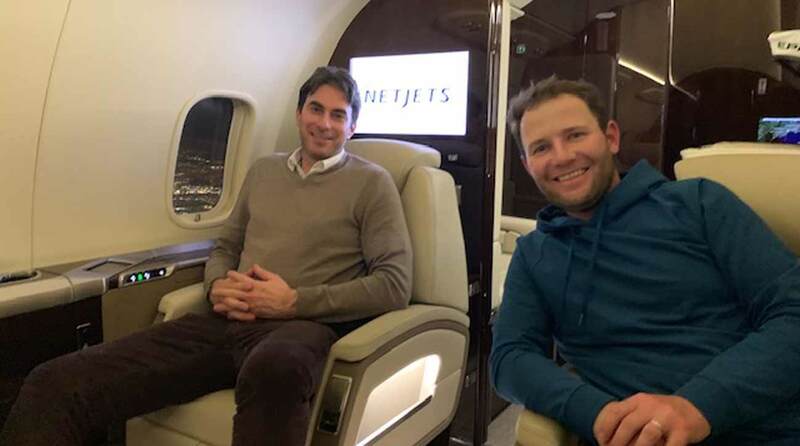 Grace, 30, admitted that earlier in his career he worried about the expense of flying private – the minimum NetJets buy-in is $200,000 – but he has long since made peace with its utility. “If I save one shot all week because I’m better rested or fresher mentally, that pays for the jet,” he said. We arrived in Los Angeles about two and a half hours after Grace had putted-out on the 18th hole at Pebble Beach, a final birdie that left him in 28th place; he was a little bummed he couldn’t maintain the form that carried him to a runner-up finish the week before in Phoenix. Upon arrival, a valet hustled a luggage cart to the jet but Grace said to no one in particular they had too many bags and could really use a second cart. Everyone laughed at our collective good fortune. Despite a long, tough day Grace seemed buoyant, and why not? He had just winged in on a fabulous jet while at that very moment the Tour’s middle-class was driving to San Jose to catch the last flight out on Southwest, which would land in L.A. after midnight. But then Grace sauntered into the arrival area and was greeted by a specter: Jordan Spieth, hat on backward, chatting with Jim Furyk while waiting for his courtesy car to be brought around. Spieth had prevailed in a dogfight with Grace at the 2015 U.S. Open. That was part of a stretch during which Grace had five top-6s in the span of ten major championships, but he is still awaiting his breakthrough. I didn’t bother asking Spieth how big his plane was. He has won the game’s grandest tournaments, and when you strip away all the flashy perks, that is the only status that matters.